Natalia Ferens-Hommel is originally from Europe. 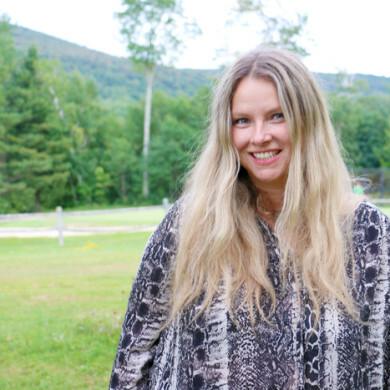 After living and working in many different countries and states, she settled in Vermont, where she now runs day tours and brewery tours through her business, Vermontology Guided Tours. The idea for her venture was born when friends from all over the globe would visit her in Vermont. She loved showing them around so much that her husband encouraged her to start her own business. A native of Vermont, he’s also a computer programmer, who built her website – giving Vermontology its start in 2012. Each of her tours is different because every tour guide sees the state from a different perspective. Vermontology accepts only six passengers at a maximum per tour, so it feels like sightseeing with a group of friends. We recently embarked on a tour of our own (for research purposes, so we could share our findings with you, of course) and we’re happy to report there’ll be no shortage of smiles on a Vermontology tour. Natalia is a true delight, warm and personable and clearly passionate about what she does. She is informed about the area, going into great detail about its rich history. We decided to take a combination of her two most popular tours, Scenic and Spirits (Brewery). We took winding roads there and back on different routes for a new perspective. Natalia really goes the extra mile to provide added value to the experience. She has set routes, but is open to doing anything or going anywhere her travelers want to see. Before setting off, she likes to get an idea of customer interests, so she can suggest pit stops or historical spots you’re bound to enjoy. She also checks in throughout the day to see if there’s anything new or different you’d like to experience. She can change your tour on the fly – it’s a super personal experience. Natalia likes to hit the ‘locals-only’ spots, off the beaten path. (So off the path, in fact, we were outside of cell service most of the day.) She has personally tried every stop, so if she doesn’t think a place is good, it isn’t included. Everywhere we stopped, they knew her by name. We hit Mad River Distillery, Appalachian Gap, Otter Creek Brewery, and Woodchuck Hard Cider. In addition to the breweries and two waterfalls, we also stopped at a quaint bookstore and bakery, a country store, a high-end B&B, and a scenic spot called the Appalachian Gap, where we could glimpse the mountains of upstate NY. With service like this, it’s no wonder Vermontology Guided Tours is the No. 1 “Thing to Do” in Killington on TripAdvisor. All her reviews are five-star, and you’ll see why. For more information, visit the Vermontology website or call (802) 417-1996.